Crafty? I’m not going to define it as cunning, deceitful or sly but in the obsolete as skillful, ingenious and dexterous. If I might venture a guess, I would say I’d rather design a good project that is crafted and executed well than design a great project and have it built and crafted poorly. Craft is important both in the quality of the instruments of design and service (drawings and models) but perhaps even more important in the actual execution of the real thing. Therefore, I thoroughly enjoy the construction phase of my work when the owner and contractor are equally concerned about craft as I am. I’d like to share one of my projects where we had one of those great moments. This unique project needs to be shared in two episodes addressing two different fiber-cement rain-screen systems that we used for two different reasons. 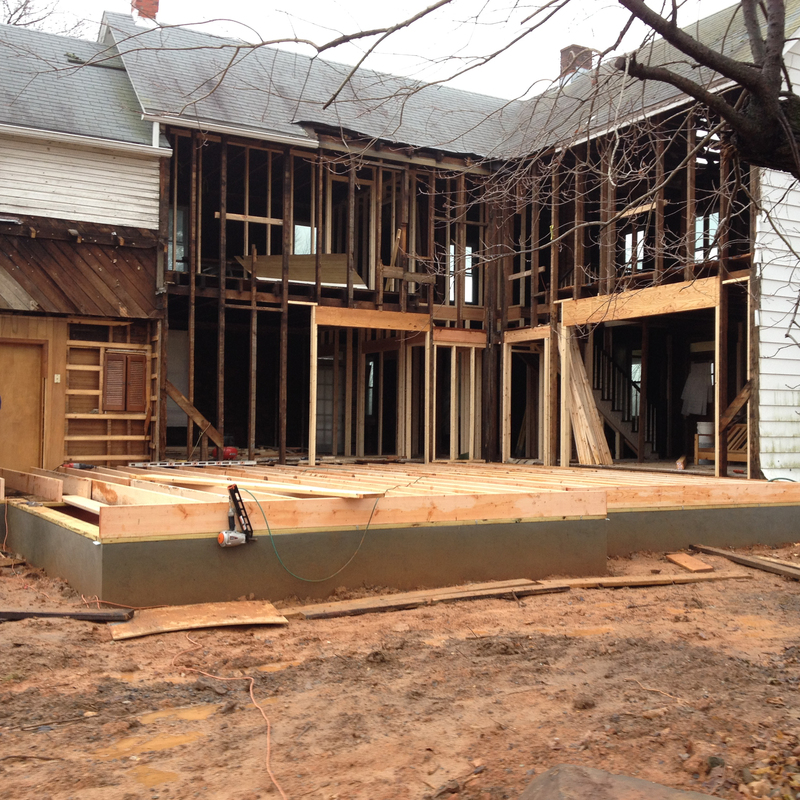 Architect’s by nature like to change things, we like to call them revisions. After a few years (I know, they haven’t forced us to leave the internet yet, wow!) it was time to update our professional web site cogitatedesign– seemed like the ideal time to integrate the blog and web site to reside at one domain. The location of Architect’s Trace has moved to here –> Architect’s Trace Over the next few months I’ll be editing/revising posts from this blog site and posting to the new forum… as well as posting new content. 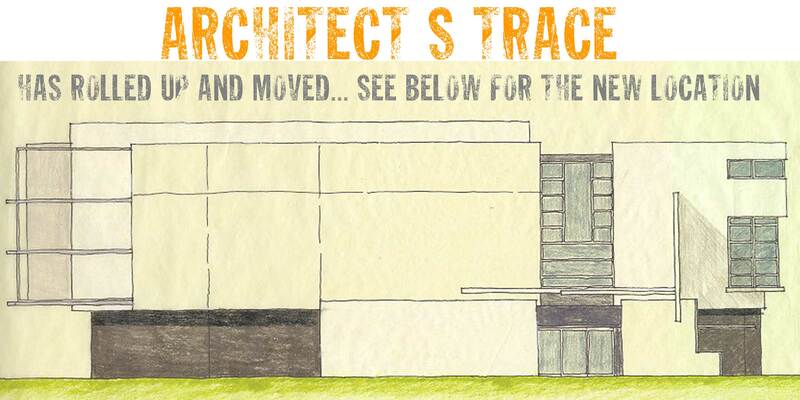 If you’ve been following Architect’s Trace, thanks and please be sure to note/subscribe to the blogs new address. 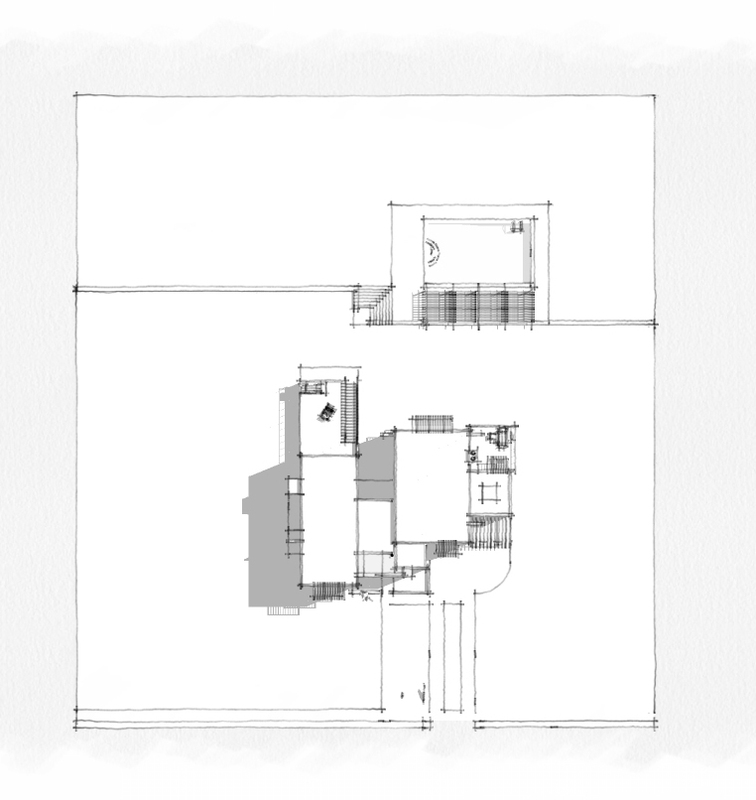 If you’re new to Architect’s Trace, welcome and I hope you find it of value. 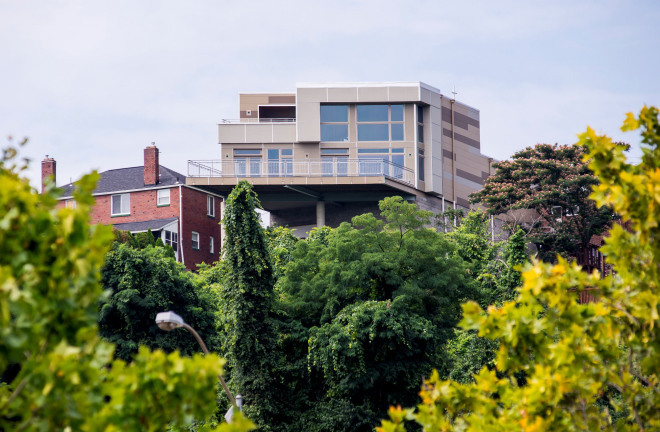 A lot of other professions use the term ‘Architect,’ for many its sacrilegious. I have mixed opinions on the ‘titles issue’ as there are more pressing matters facing the profession. However, this is a great way to lighten the mood. In a prior post, In the Game , I offered up some suggestions for us architects to join in and play the game. I’m going to keep pilfering other professions titles and terminology and stay in the game… as the kids say, “Don’t hate the playa, hate da game!” They still say that, right… right? Thanks to Ron Lincoln for playing along and providing the additional titles. Have any to add? Post them in the comments section; if I get enough I’ll make up some more graphics. General graphic layout inspired by Jody Brown at Coffee With an Architect. In a previous post, Firm Advice, I offered up advice for those of you contemplating starting your own architectural firm. That post covered more of the legality and visions for your firm, long range planning if you will. In this post I’d like to offer up what I believe are five critical things every architect should be competent at to have a fighting chance at running a successful practice… I even offer up a bonus tip, whoo hoo! If you’re a potential client, consider this a list of a few things you should expect your architect to provide as part of their services. Write/edit your contracts. Sounds simple and it can be. However, many architects aren’t exposed to this if they have been working for others at a firm. I’m not a lawyer, nor do I play one on this blog. 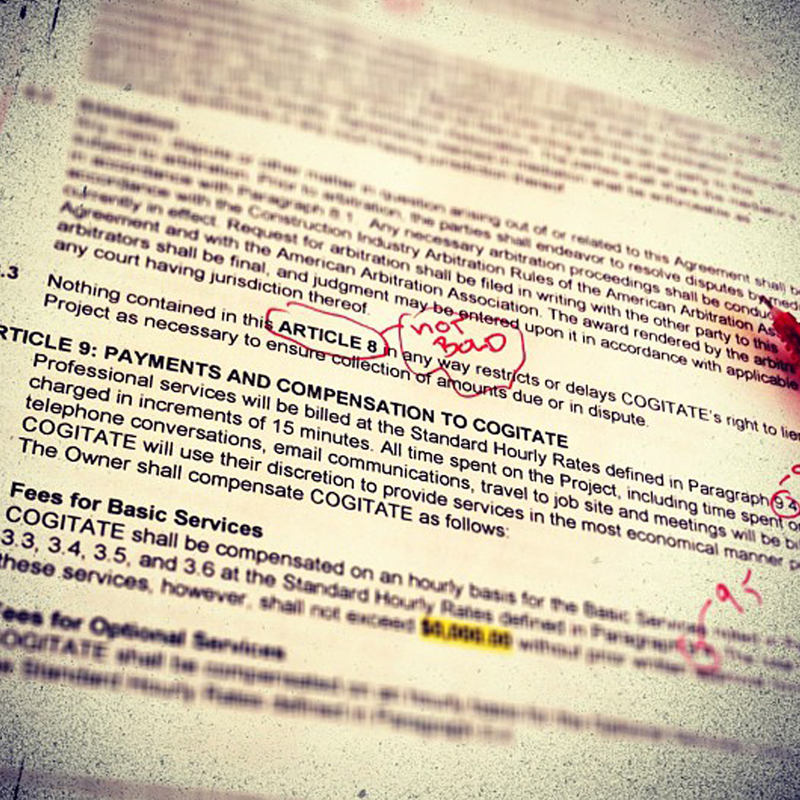 Whether you use AIA contracts, author your own, seek the advice of a lawyer, etc. is a decision you need to reach yourself. The Purpose of a Contract is simple; defines scope, responsibilities, relationships, and compensation. My advice, have contract templates at your disposal for editing. 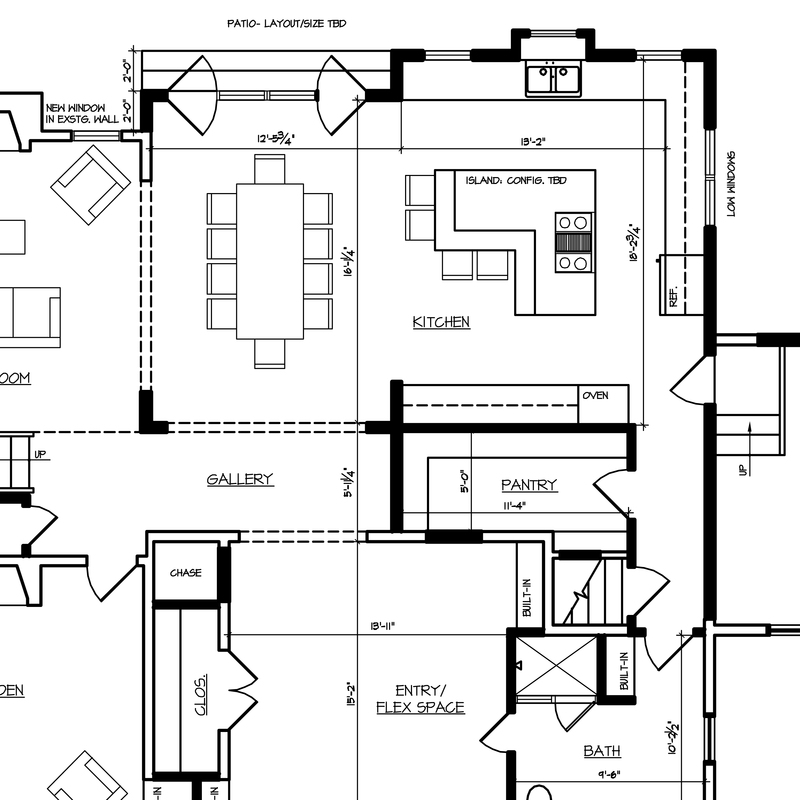 I have templates for New Single Family Residential, Renovation/Addition Single Family Residential, New Multi-Family Residential, Commercial Tenant Fit-Up, Conceptual Design, Schematic Design, as well as several others, you get the idea. You want good contracts that you can edit quickly per project specifics. Free hand sketching that is. 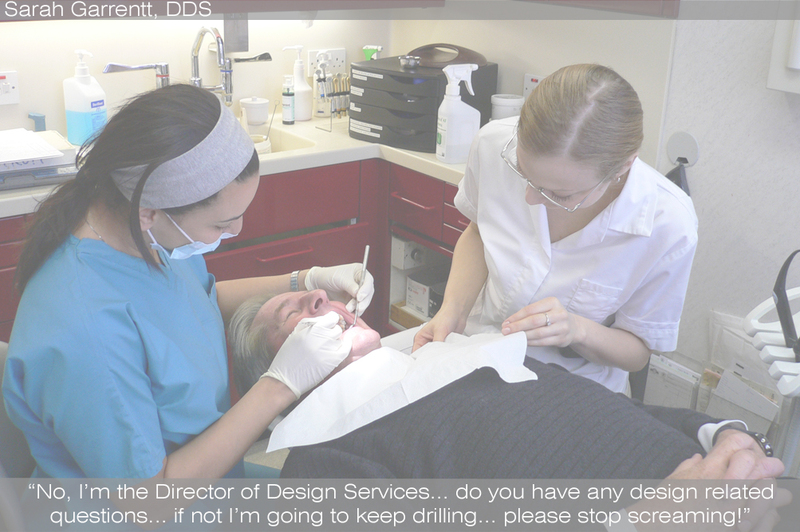 This isn’t a CAD/BIM issue/debate; it’s about communication on the fly. You need the ability to quickly get your point across; more often than not your point will rely on visuals and sketches not notes and definitions. You need to be able to sketch at a dinner table, coffee shop, swim meet, PTA meeting, airport etc. and you need to be able to sketch on paper, cardboard, skin, wood, drywall, etc. and be able to sketch with a pencil, pen, marker, chocolate bar, blood, etc. The point is you need to be able to sketch anywhere on almost anything with almost everything. 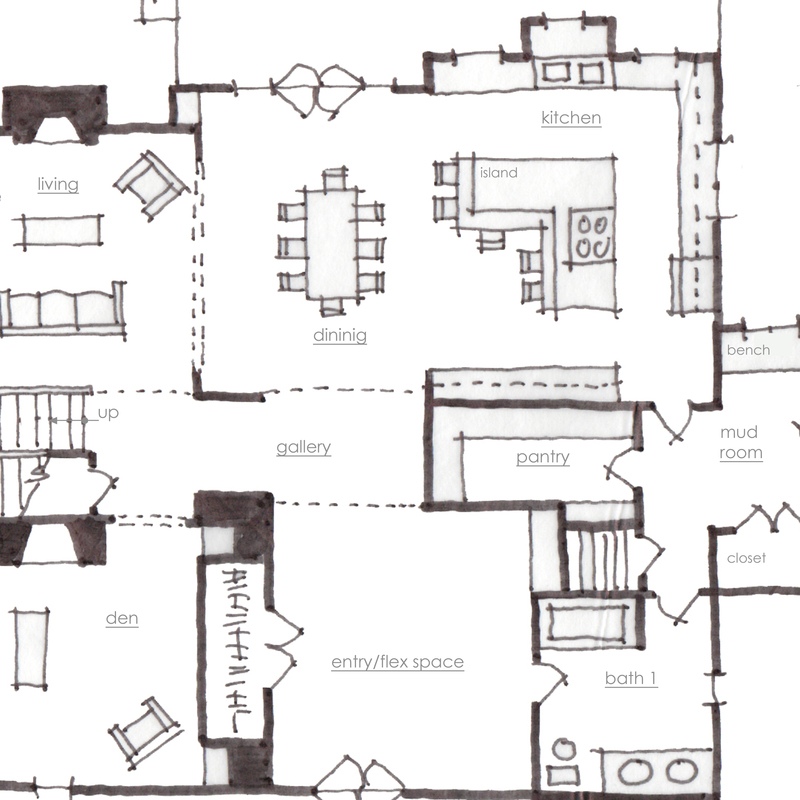 This isn’t sketching to produce art; it’s sketching to communicate visually. We architects use visuals until the visual is reality. I’m not talking about runway modeling, I mean build an architectural model. Not virtual models, as these inherently have a disconnect with the client and the process. Virtual modeling does have its place, and I often model in SketchUp, as you can read about here- SketchUp 101. However, I am talking about Real, Physical, Touchable, MODELS! The importance of physically crafting a model is every bit as important to the design process as the idea itself. This is a ‘touchy’ topic and some architects won’t agree on the value of actually building architectural models. However, for me, it’s part of the design process and I suggest all architects give it a try if they don’t already. 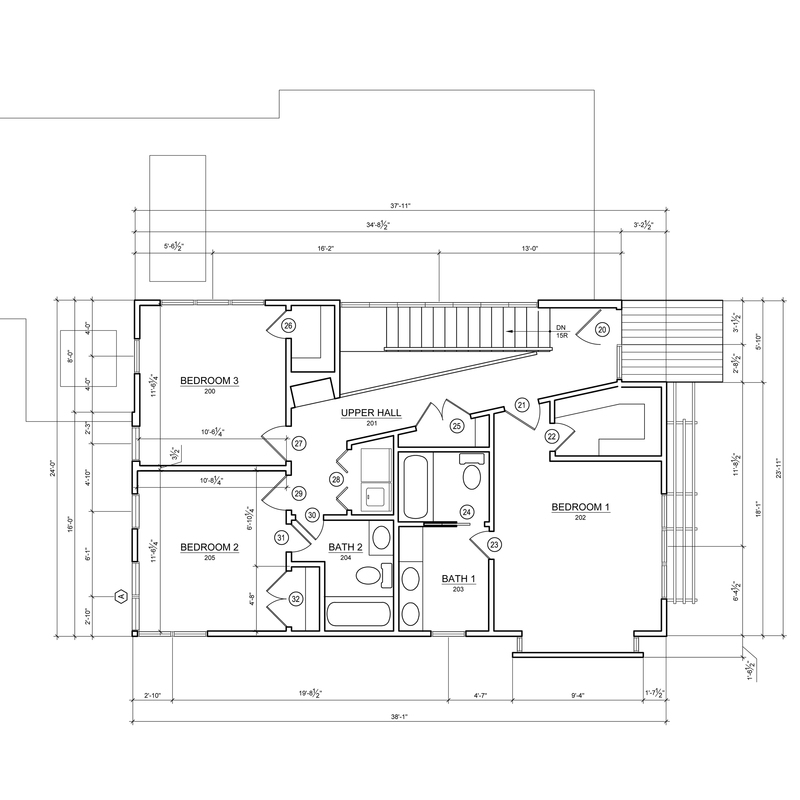 An architect needs to be able to craft form to the idea. 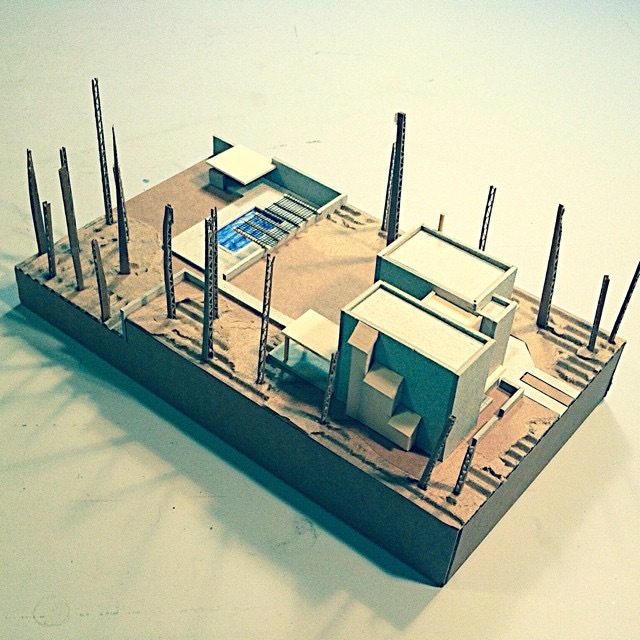 More of my thoughts on physical modeling- Architect’s Next Top Model. Another great read on the value of physical architectural models ‘Why We Still Model…By Hand’ by Build LLC. 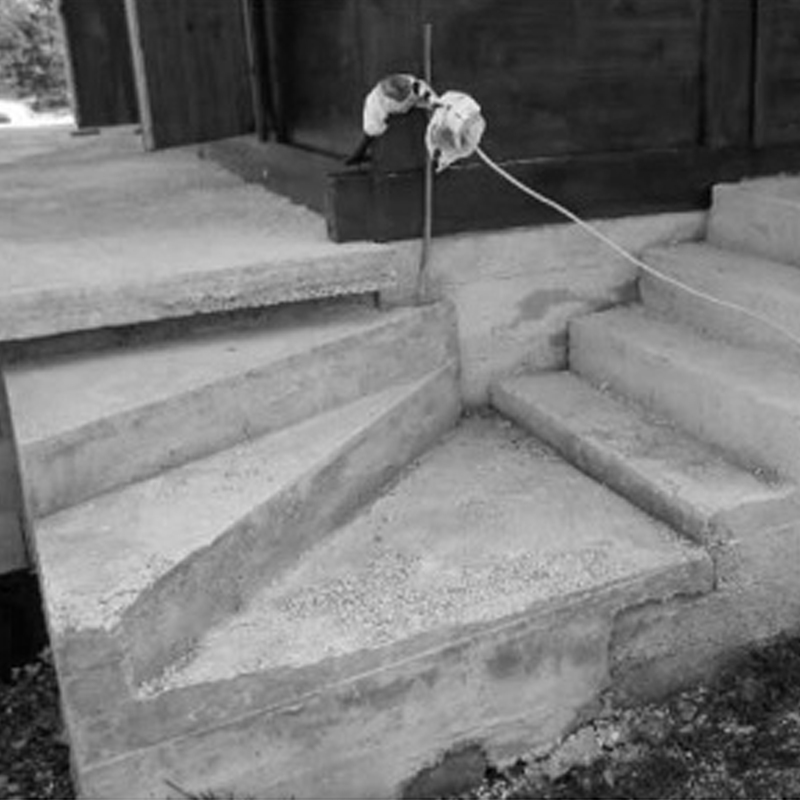 Converse intelligently about construction means/methods. To be a Credible Architect, you need to instill trust in your clients and contractors that you know what you’re talking about. It’s hard to get projects built, it’s extremely difficult to get projects built the way you want them built. If you’re taken for your word, and are knowledgeable, your project has a better chance of being successful. You need to know the what and why of everything contained in your Construction Documents… if you don’t, find out or remove it. Most importantly, visit your projects during construction. This will afford you the construction knowledge. However, this gets to be a ‘gray area’ if you’re not contractually obligated for Construction Observation services. Which leads to my final point, you should have at a minimum (ideally full construction observation services) the following six key points of construction observation in your contract- Foundation and Footings, Substantial Completion of Framing, Pre-Electrical, just prior to Drywall, Trim work approximately 50%, and at Substantial Completion. I rarely engage in a project without those minimum construction observation services, if you do, be sure to have a contract clause addressing the Limited Construction Contract Observation Services. Own up to errors and bad news. This is a tough one but you need to be able to own up to your mistakes and be the bearer of bad news. 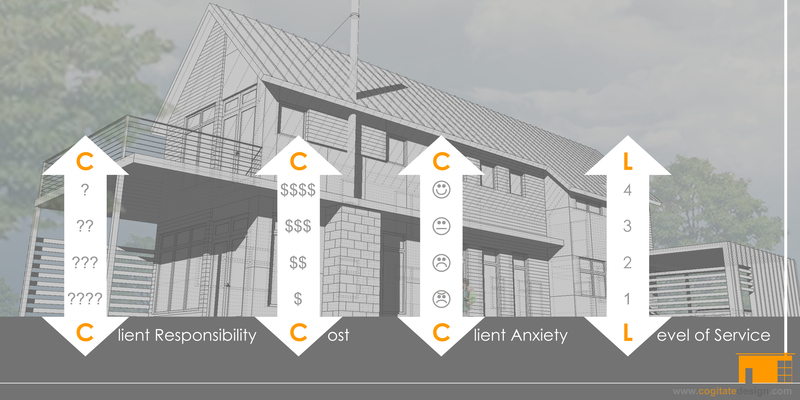 Clients expect their architect to give them good news. Good news is, well it’s good. Usually no big hooray from the client when it’s delivered, that’s what they want, and expect, to hear from the architect. Bad news is… well… it’s bad and most are uncomfortable addressing. 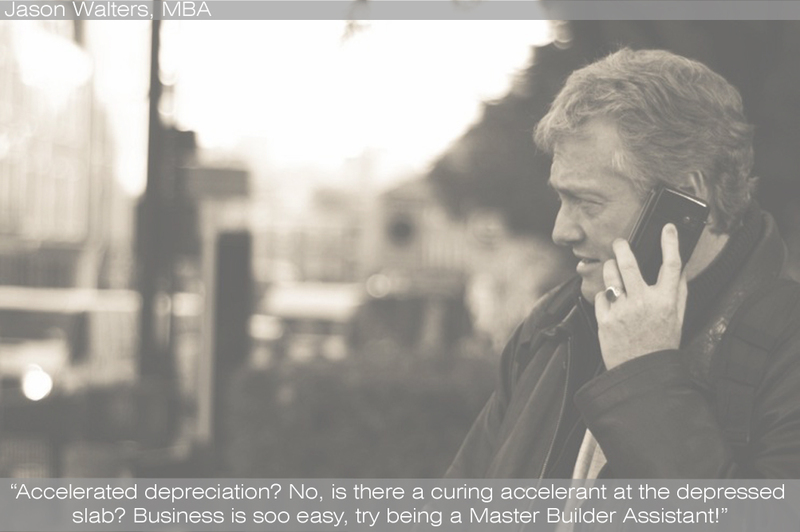 However, to be a successful architect, you need to be comfortable with bad news. 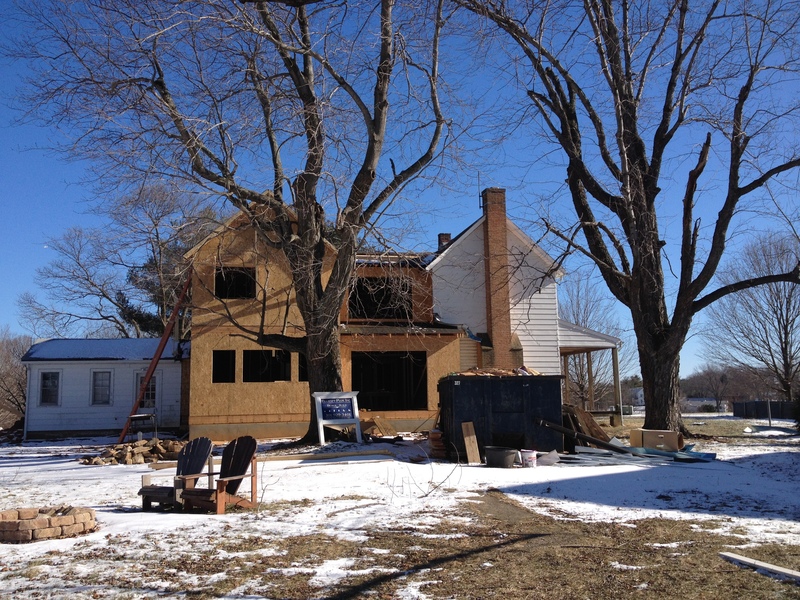 Construction is a complicated process and bad stuff will happen, best if the client hears it directly from you, along with solutions as to how to remedy the situation. You need the ability to have open and honest conversations, especially when it’s a difficult issue/situation. Learn how to learn. Sounds simple, but it’s easy to get set in your ways. Things/means/methods/etc. are constantly in flux. Embrace learning new… well just about everything. Each project you do should be a learning experience about something. As one of my college professors was fond of saying, “Your next project is your best project… always will be.” It’ll be your best because you’re constantly learning. 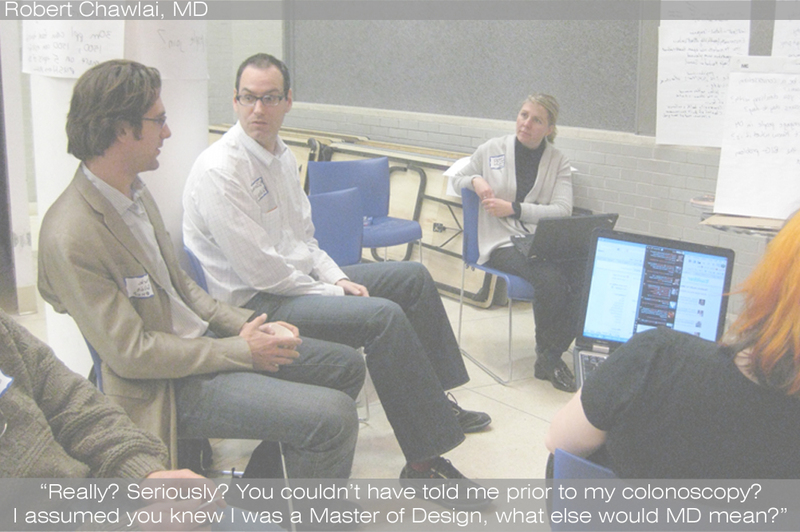 So as a new or seasoned architect running your own firm, what advice do you have to offer up? Post ‘em up in the comments below! ** Learn to know when you don’t know and ask for advice. 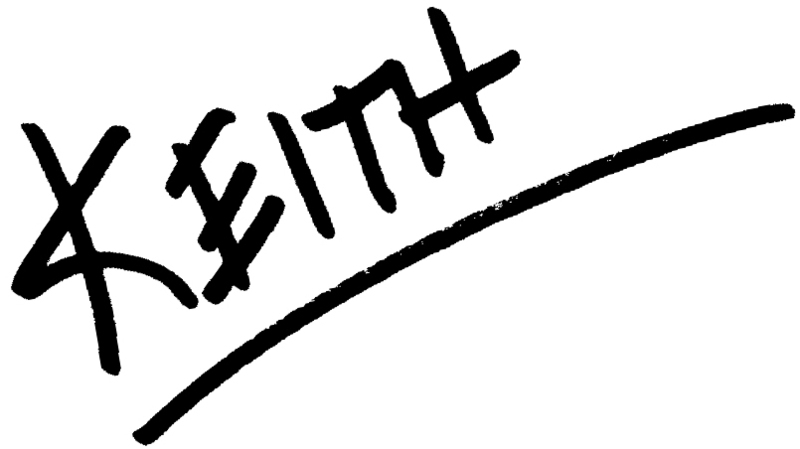 What can I say, a post by Lee, so you know it’s worth reading! Did you ever turn down a commission? There is more being said these days on social media about architectural professional practice. I like it. To be honest, apart from Mark and Enoch there’s little being written (that I’ve found) for small or solo practitioner firms, so I love any dialog that helps. Most of the time the discussion focuses on how to get more work or get THAT project. When we don’t have enough work, it seems every project must be taken so we can continue to eat. I used to believe that. I suppose at times that is still a valid reason. It is not that simple. Anyone that reads this blog will know that I am a firm believer in actual physical models. However, I also realize the benefit of virtual models- a chipboard model is tough to attach to an email. I use SketchUp quite a lot. 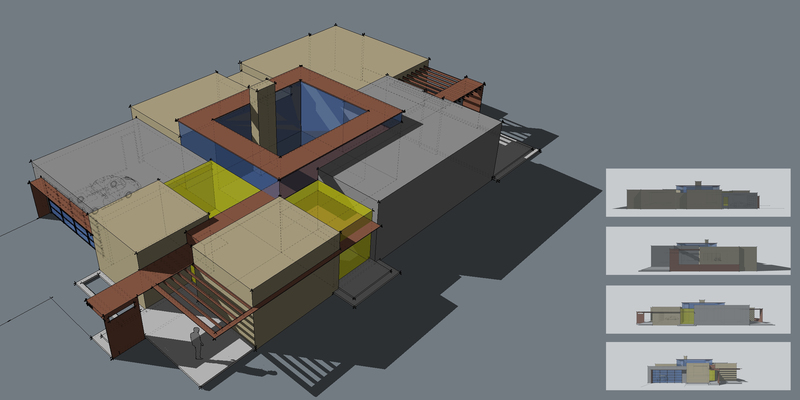 While BIM is the final presentation model, SketchUp is the down and dirty study model. I equate SketchUp to the electronic version of chipboard. In a previous post I covered the basics of SketchUp, you can read that here Sketchup 101. Since that post, I’ve had numerous requests to provide more info on using SketchUp. As such, I thought it would be a good idea to go over a few of the basics in a bit more detail. I know some may be saying, “What the heck, this is basic info who needs a post on this?” There are plenty of resources/manuals available for SketchUp, however, I believe my perspective affords insight into real world implementation as an architect (whoa, settle down, those were big words). Keep in mind, there are people learning the software for the first time every day, so if I can make it a bit easier for them than I’ve done my part helping the world visualize in the third dimension! 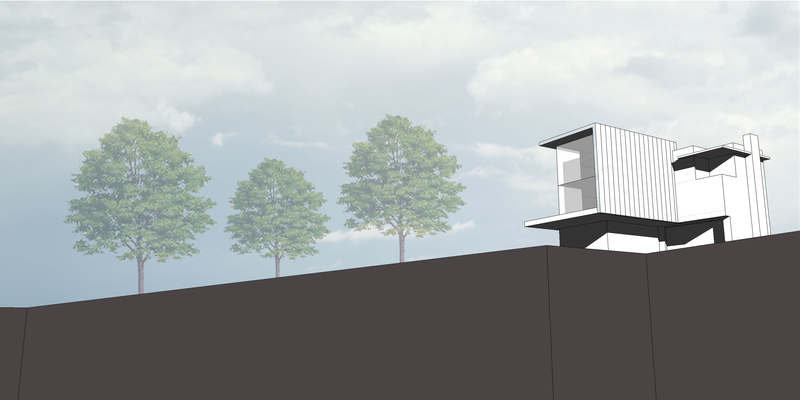 With any luck I’ll continually add to my SketchUp resource and hope that others can benefit from it. 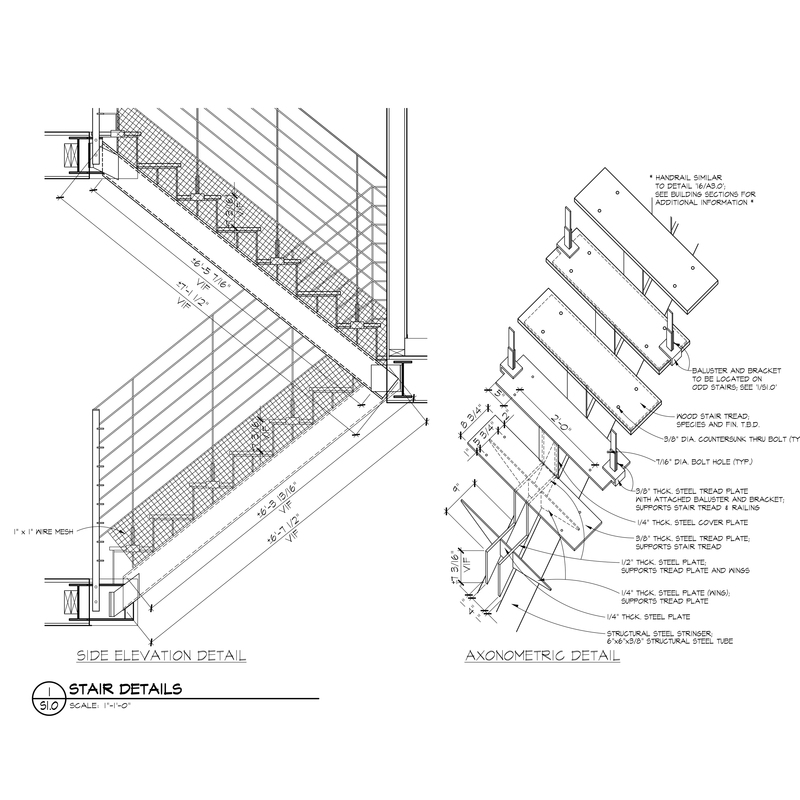 Note that this post is based upon Trimble SketchUp version 8.0.16846 and may differ slightly from the most current version; it is also not meant as all encompassing, but rather a broad overview of some general tips and information. Group: a combination of several objects together into one ‘piece.’ For example you can create a window that is comprised of a frame and a piece of glass. You can than make a group out of the two ‘pieces’ which than makes it easier to edit and move it within the model. Groups can be copied and edited. Component: a type of group that when copied and repeated, if one component is edited all of the other components will change as well. This is useful for windows that are used repeatedly and is very helpful when creating units for multi-family buildings. 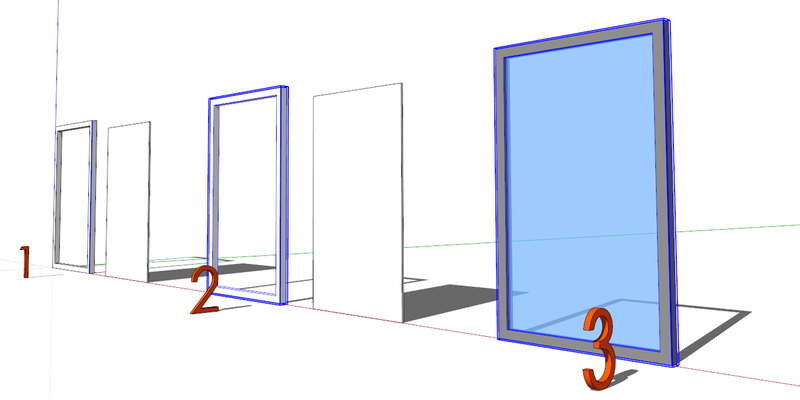 For instance, you could create a Double Hung window unit and place it 40 times in your model, if you than edit one component to be a casement window, the other 39 update as well- however, there is the option to make any one, or several of the components ‘unique’ such that their editing does not alter the other copies- perhaps a future post on that topic. Components can also be mirrored using the Flip command. The mirrored components retain their definitions, and are updated whenever an un-mirrored version is updated. 1. To create a Group or Component, select all the objects that you want included, right-click the mouse and select Make Component or Make Group, it’s also found under the Edit drop-down menu at the top of the screen. You’ll also have the option of naming the Group/Component. 2. Groups and Components can be edited by double clicking them. If you have Groups/Components nested within each other, you’ll have to double click the appropriate amount of times to get to the Group/Component you wish to edit. Window 1: I’ve created a window frame and sheet of glass, each of which is composed of separate faces and planes. Notice when you try and select it only one line or plane is highlighted (keep in mind you could hold the shift key to make more than one selection, however that’s not the point of this example). Window 2: The window frame and sheet of glass have each been made into separate Components. Notice when you try and select it the entire frame/glass is highlighted. Window 3: The window frame and sheet of glass have been composed into a single unit and a Component created out of the two pieces. Notice when you try and select it the entire assembly is highlighted. Materials have also been applied to each of the window assembly Components. Group Example: Edit a Group and all copies of that Group remain as they were. Component Example: Edit a Component and all copies of that component update, regardless of flipping the copy about the horizontal/vertical axis, or mirroring the copy. Keep in mind, any copy of a Component can be edited and all copies of it will update. Armed with this information one should feel comfortable using Groups/Components while modeling with SketchUp. For regular users, hopefully this serves as a refresher. Once you start using SketchUp on a consistent basis, you’ll realize that there is a lot more you can do with Groups/Components- i.e. you can nest Groups/Components within each other, you can make Groups/Component unique, etc. However, you’ll also realize how efficient using Groups/Components will make your modeling. 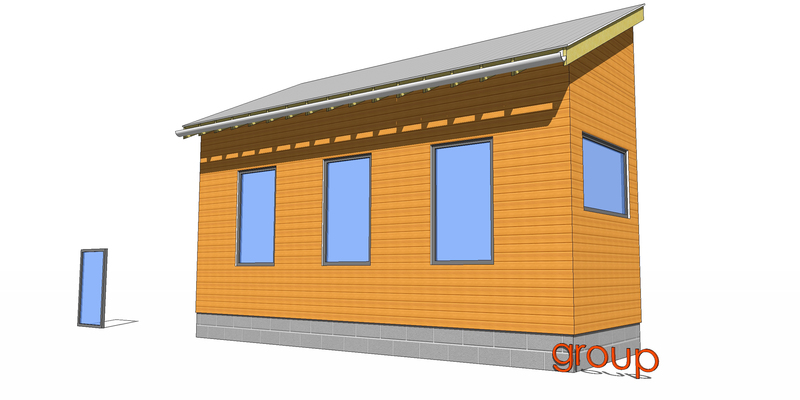 SketchUp is an invaluable design tool and should be in the ‘toolbox’ of every designer. So what tips/advice do you have for using Groups/Components in SketchUp? Post them in the comment section, I’d love to learn some new tips and read how others use Groups/Components SketchUp. 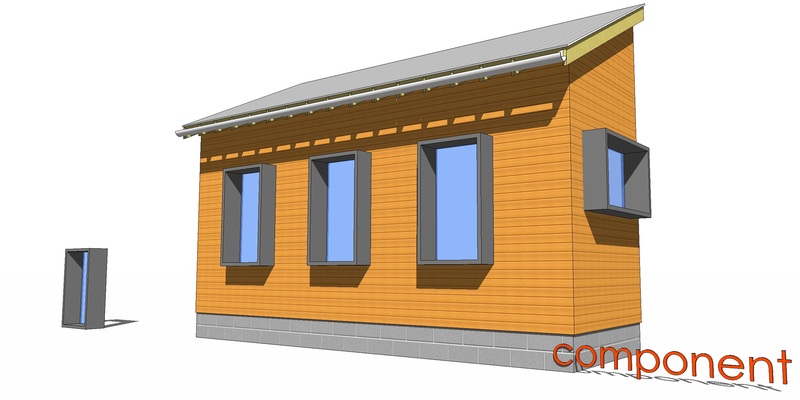 ** go download SketchUp and get your 3d on!